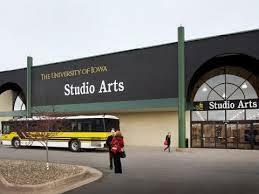 University of Iowa- Studio Arts lactation room. Amenities include: Medela Symphony Pump, counter, chair, key lock. Contact Sheryl Lyle, 319-384-0762, between 7:30 am - 4:30 pm for key to room.